Adela Schwarzer, now living in Sweden, seems to be the only Holocaust survivor of her closest family. She survived seven Nazi slave labour camps, and at the final stage – Bergen-Belsen – was found dying on a heap of corpses, 23 kg weight. Adela says her determination to meet with her family gave her strength to survive all that. However, her search after the War has not brought any result - but not all forms have been tried yet. The meaning is to find any trace, any information about the fate of her four sisters and two brothers. 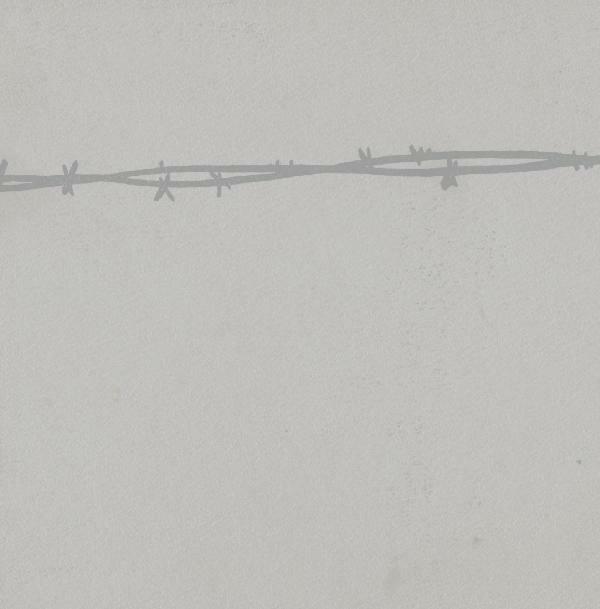 Adela's story brings us to the Rzeszow ghetto, but it starts in Kraków, where she was born, in 13 Soltyka Street in 1923. Both her parents, however, were from Cieszanow, a small town close to the present Ukrainian border, and they moved to Krakow. Father, Mechel Schwarzer (b. 1888; also mentioned as Mechel Schwarz in Kraków census of 1921) settled there in 1912, and mother, Malka Beila Tennenbaum (b. 1890) moved there in 1917. She probably followed her father Mendel Tennenbaum (b. 1846). Adela remembers her grandfather Mendel telling the story of his hasty escape from Cieszanow on a white horse. Maybe he was fleeing from the riots against owners which were stirred by the Russian revolution… The shock of 1917 was so great that later Mendel used to escape on his “white horse” even at… his sleep. She remembers also a very pious uncle, Mechel's brother, who was coming from Grodzisko Dolne to visit them in Krakow, taking care of it that the metal pots were made really kosher by red-heated stones. In Kraków the Schwarzer family also lived in 32 Miodowa Street (ca 1918 – 1922) and in 13 Wielicka Street (? – 1940). It is worth noticing that while Miodowa is the border line of the historical Jewish district, Soltyka is closer to the center of Kraków - at the back of the Jagellonian University's Medical Academy clinics - and it marks the Schwarzer family's step toward assimilation and social advancement. Moving to Podgórze in the years preceding the World War II may mean that the family got impoverished. The family were poor but open and hospitable: in the house in Wielicka at the beginning of the War also a daughter to Mendel from his previous marriage, Chaja Tennenbaum, with her sons Haskel and Josef had meals, and they lived there for a short time though the living space was one room and a kitchen for the twelve persons. Mechel Schwarzer was a tradesman and cooperated in business with Chaim Abend, a trade agent, who lived in the 11 Marquet Square at the centre of Kraków. They had a shop with furniture and antiques at 2 Mostowa in the Jewish District Kazimierz (at this address also the society Nossei Massu for support of orphans and widows had their seat and a prayer place). The business was also to restore old furniture. Chaim and Mechel employed three more persons: a cabinet-maker, an upholsterer and a selling woman, who was Gusta Schwarzer, Adela's eldest sister. Mechel often went for business trips to Katowice and Jaroslaw. Chaim Abend with his wife Mania (both from Jaroslaw) often stayed with the Schwarzers' family in Wielicka as they liked children but had none of their own. Malka Beila Tennenbaum-Schwarzer was daughter to Adela Feder, third wife of Mendel Tennenbaum. Mechel Schwarzer was son to Izak and Gitla and he had sister Bronia and a brother of unknown name. Mendel died in September 1939 and was buried at the Jewish cemetery in Podgórze (in 1942 to be completely profaned and destroyed by the Nazis who used the ground as Plaszow forced labour camp territory, and all the matzevots as building material for it). As for the parents' family: Bronia Schwarzer (herself a match-maker) married one Lieberman. One of their sons was Henryk Lieberman who married Lusia. They settled in Israel. One of Mendel Tennenbaum's grandsons, son to Malka Beila's half-brother, cousin to Adela, was Leibek (Leon) Eres-Tennenbaum. Leibek Tennenbaum was boss at Fromowic – big delicatessen store near Kazimierz which imported goods from all over the world. In 1972 he was still alive – living in Israel. His wife was Bina, his sons are Gershon and Mordechaj. His brother Izak Tennenbaum married before WW II and left for the USA, where he had a chocolate factory (he soon died, however). Izak was a car mechanic, Gusta – a seller in Mechel's shop, Helena was a tailor: she had learned her profession at the secondary school of the Jewish society, “Ognisko Pracy” (“Work Society”, 7 Skawinska Boczna St.). Amalia was born at the Jewish Hospital at 8 Skawinska Boczna. She was so weak that doctors said she would not survive – and, yet, when Adela saw her youngest sister last, she was a teeneager. With the Nazi occupation (which started in Krakow on September 6th, 1939) a number of restrictions were applied to Jewish inhabitants, which among others concerned moving around some areas of Krakow. The Jewish modiste's shop at Florianska was closed. Once, after visiting a forbidden area, Mechel was heavily beaten and all that had worth was taken away from him. Soon, in November 1939, the Krakow Jews – under a death sentence – were demanded to wear a white band with a blue star of David on their arm. Adela remembers that all inhabitants had to queue for bread since 4 am throughout a major part of the day. And then it could happen that a Nazi came with dogs to expel all Jews from the queue. She herself was pushed out of a queue by the Nazis many times, being kicked and whipped or smashed with a stick. Many times Adela was taken to forced labour such as washing, cleaning and cutting wood for the schutzpolizei who stationed at Robotnicza St. - close to the Schwarzers' house. 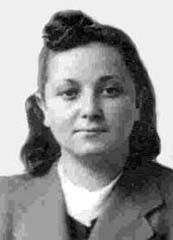 Once (still by the end of 1939) the Nazis detained Adela for a longer time at their camp. Her father Mechel knew and was upset about it, fearing that she had been raped. But Mechel had a gift of conversation - he came to the policeman with a nice chat and was let in. The talk was about the Nazi's business in his heimat, which was a small bankrupt photo shop. Finally, the German excused himself for keeping Adela at work too long and he released her. In winter 1939 father Mechel Schwarzer was forced by the Nazi to move to Rzeszow. The family was still registered at the Jewish Community in Kraków on August 28th (the surviving “Protokols” for Adela and Helena) and on September 8th (Izak) of 1940 (Jewish Historical Institute at Warsaw). The witnesses signed on Adela's and Helena's registration forms was Maria Rosen living in 13 Tarnowerstrasse and Sala Tenenbaum living in 43 Kalwaryjska St.; a witness to Izak was Adela. The children were moved to Szpitalna 1, part of what soon became the “smaller ghetto” (which was liquidated first). Adela remembers Nazis coming with dogs to the market place on Fridays. Their task was to catch some Jews – for the city to be “cleaned”, but they did not dare select the victims: they left it to the dogs. The Jew who was sniffed by the dog, was taken for elimination. As is known from history of the Holocaust in Rzeszów, its ghetto was closed on January 10th, 1942, with 12,5 thousand Rzeszów Jews, who in June were joined by a similar number of Jews from the vicinity. The 19 years' old Adela was included in a forced labour group who worked at the local railway station. Her work was to unload wagons with coal, wood and sand. She also dug ditches, helping one tall woman, Jewish professor who could not manage with her job. In the spring 1942 Adela together with her forced labour group was sent by the Nazi to work at Biesiadka camp. SHE NEVER SAW HER SISTERS AND BROTHERS AGAIN. A gleam of hope is sustained in Adela because some women from Rzeszow who came to Czestochowa labour camp told her that her youngest sister Amalia was hidden in a litter-box from the Nazi during the deportations. What happened in Rzeszów in the succeeding months is supposed to be the climax and focus of this story because then the fates of the Schwarzer siblings were determined, and of them we know nothing. Various sources give varying numbers and places of exterminations. Here is knowledge that all of them would agree about: the Jews of Rzeszów and those brought to the Rzeszów ghetto from the surroundings were exterminated following a number of deportations which started in July 1942 (Tuesday 6/7th: the smaller, southern ghetto; Thursday 10th, Monday 14th: Kopernik St., Tannenbaum St., elderly people and the Jewish hospital; Friday 19th). All deported groups were marched to the Staroniwa railway station at Rzeszów. From there they reached two possible destinies: they were either murdered at the Belzec death camp or at the Forest near Glogów Malopolski (some call it Rudna Forest). The number given for the Jews killed at Belzec in the July action is 14,000. In his unique diary Stanislaw Kotula writes that the Glogów Forest was place of extermination of mainly elderly and sick Jews. The number given for those victims varies from 2 to 6 thousand. On August 7th the remaining women with the children were gathered (by a Nazi deceit) and brought to Pelkina, and later to Belzec (more than 1000). On November 15th 1942 there was another extermination transport to Belzec taking life of 2000 Jews. It left ca 3000 Jews in the southern ghetto, which now became divided into ghetto A east to Baldachowska St. with forced labour workers, and ghetto B west to Baldachowska, called by the prisoners schmeltzgetto (“melting ghetto”) – ie ghetto for Jews designated to be killed. The latter were all taken to Auschwitz-Birkenau and perished in the gas chambers in September 1943. Between September 1943 and July 1944 the force labour prisoners were also sent to Auschwitz, some of them escaped and hid until the liberation, some survived Auschwitz. Some of them, after being moved to Szebnie forced labour camp in September 1943, were shot at Dobrucowa forest. May Izak, Gusta, Helena, Regina, and the youngest Samuel (who was 14 in 1942) and Amalia (who was 12 in 1942) – have had more luck than the 6 million Jews murdered at the Shoah? Next Adela was sent to the Plaszow camp at Kraków. The prisoners wore clothes with numbers. Their work was sowing buttons to Nazi uniforms. The succeeding camp - since October 1943 - was Skarzysko-Kamienna, where they had to work in an ammunition factory. Adela was compelled to work at a drilling machine for a 12 hours' shift. The work was very straining and because of exhaustion she once fell asleep at a machine, and was woken up by a volksdeutsch woman who poured water on her. They were fed only once a day, and during the meal they had to stand at the machines. During that work Adela was terribly wounded by the machine. She was operated; a blood infection followed. After the operation the wound was not sown up, with the result that up till now the hurt finger has not been working properly. -“When we were liberated by the Allied Forces in April 1945, I was in such a bad condition that I didn’t know what was happening to me or around.” Indeed, she was thrown on a mount of dead people, and she really owes her life to a her Jewish co-prisoner, Betty (now married Goldberg, living in Israel), who told about her to the British troops. Adela was taken to 81 BR General Hospital. When she got better, she was sent from the transit centre in Lubeck, Germany, to Sweden by the Swedish Red Cross (Folke Bernadotte's “white buses”) on the ship SS “Ronnkaer”, on July 16th, 1945. She arrived in Malmö on the next day. In Malmö the Swedish Red Cross considered her so weak that they took her in for quarantine in a hospital for four weeks. Later the whole group of Bergen-Belsen survivors were sent to Baggå as convalescents. They were offered work at ASEA (now ABB) in Västerås, which they accepted with deeply felt joy. Since that time Adela Schwarzer has been searching for her brothers and sisters - without success but never loosing hope, which “dies last”… Memory of them sustained her through all that horrible and has been coming back to her day and night ever since. These are Izak, Gusta, Helena, Regina, Samuel and Amalia Schwarzer. We – the Swedish and Polish family of Adela Schwarzer – will never stop searching until a positive or negative answer is given us. 4. PIECH Stanislaw, W cieniu Kosciolów i synagog. Zycie religijne miedzywojennego Krakowa 1918-1939 (In the Shadow of Churches and Synagogues. Religious Life of Kraków between the Wars 1918-1939), Kraków 1999.